Sometimes all you need is a mother’s approval. So, currently sitting in Panera writing this getting ready to bunker down and do some homework. Unfortunately I am sitting at a big table for 4 when it’s busy because there were NO OTHER CHAIRS so I look like a jerk. Dear, Panera goers, I am NOT A JERK. There were just no other tables! I swear. Anyway. I just felt the need to write this post because of what just took place. My mom said “Good Job” for the amount of weight I’ve lost. This is the first compliment my mothers has given me about my body. This has been the first not backhanded compliment/encouragement she has made since I’ve started this journey. She was dropping me off at Panera while the oil in my car was being changed. She said she was looking at old pictures of me and my sister, and it was amazing to her, the amount of weight we’ve both lost. “Good Job”. I just nodded back a bit dumb founded and not sure how to react. My mother and my relationship is a bit complicated to say the least. Some Back Story: She has always been thin and beautiful one.She is my superhero. Not many people can say their mother went back to school while working part time and having 2 children both under the age of 3 with pets. Though I know she loves me, growing up she has been somewhat wrapped up in her own life. I went through a really rough time with both my parents once I got past the age of 13. I have had random moments of depression and a lot of my own issues that they never really knew about. Partially because I didn’t tell them but partially because they didn’t care to know or address it. Its made me and my parents relationship somewhat distant and weird. Since coming to college it has gotten better, but it is far from ideal. Most of that is because I honestly hold back and keep to myself, but if it keeps the house peaceful I’m for it. I wish I could say that me and my mom are best friends like Rory and Lorelei Gilmore, but we aren’t. Its just a fact. I wish I could share things with them, but its just not our relationship. Back to the present: I’m sitting just confused about what took place. Any time my mother has commented on my body, before or after weight loss it has always been about how I could lose a bit more. Or how I could eat better. Or where I could get connected for help. Or how some article of clothing will look better in a few months. She has always tried to keep improving me. She means well but with my body issues and probably a mix of me being sensitive its taken a toll on me. I’ve never felt that she has been very happy with me. Please do NOT critique my mother, its my own feelings that need to be evaluated here, not her. I’ve never felt like I could ever just be enough with her. I don’t think she has meant to do this and I know she loves me but its been hard. For a long time now I have been wanting her to make some sort of positive comment. Even more so with my weight loss. Just say one good thing about how I look nice not that I need to keep going. Trust me I KNOW I need to keep going. I’ve just been waiting for what feels like for FOREVER for this one little thing. For her stamp of approval. Sitting in Panera now I realize I have been subconsciously striving for my mothers approval for what appears to be years. Its so obvious to me now. I’ve ached for it even more since my weight loss started since this past summer.Thinking that once it’s gone I’d finally be enough. Looking back I’m realizing that when that compliment never came this past summer/fall, I finally gave up on ever hearing it. After losing so much weight she still never said it. What else could I do? I came to terms that I needed to accept myself and let that be enough. But as I write this I find myself on the brink of tears. She said it. She finally said it, and I have this raw hallow ache in my chest. Its so hard to explain. I don’t know what to say or how to analyze it. But I knew I needed to write it down, get it out, tell someone. Even if its just a computer screen. Not sure if its a happy or sad feeling, but its a feeling all the same. Quick weight update.Still going good. Eating healthy. Been sick since spring break started so havent been able to hit the gym the way I wanted. With this cold though, there was no way. Almost to those beautiful 170s! I hope you’re all doing amazing and I believe I owe you all a massive update! Starting with the color run. My goodness is was awesome amazing colorful fun! I had a blast and would do it all over again in a heartbeat. The race itself wasn’t that hard because of so many people we had to slow our run down. There were a few times where I was pretty sure I could walk faster but I still was having a good time. It was fun to actually run with the girls since we all were running together. Joking and laughing. The energy of the crowd was insane. The course lapsed back on itself so people were screaming whoohoo and high-fiveing. It was a fantastic energy boost. Downtown Grand Rapids was insanely packed. But we got there and managed to leave in the “6th” wave and finished in less than 30minutes. The Paint Chaser girls are the loves of my life and I couldn’t have done it without them! Thank you Ladies. What has been keeping me SUPER busy was RA training. I moved into my new place and hit R.A training in full swing. My dorm itself got moved to the graduate assistant room because of the university being so full. So now I have a full sized kitchen! =] Its a bit smaller, but its okay. Some highlights to this year’s RA training was doing the ropes course as well as my staff winning the annual R.A volleyball game. Its been a lot of fun! Other than those two things R.A training has been a lot of sitting, eat unhealthy food, and lectures so my weight has gained a bit. But I have managed to make some healthier choices in my options. Another really awesome thing we did was the President of my university hosts a dinner at his house for all the RA’s. The staff got all dressed up and went. Also, my staff is amazing this year! We all get along so well. Its nuts how great it is. To top it off my door decorations and bulletin boards are rocking to start out and I’ve met two of my residents. I am pumped but move in is actually monday (Oh my goodness!) and I really am not quite ready. But here goes nothing. Senior year here I come! Church has been going okay. I’ve had to miss my “Go groups” and church itself. Hopefully I will be going tomorrow as well. I also am working into my mission trip stuff. Hopefully it will be sooner rather than later. In the fall I may be hosting a “go group”. I’m really nervous about it but I think it’ll be great. I also, need to finalize my classes for the next year or so. But that has been put on the back burner until move in passes. I also have a test monday morning with the possibility of a new job. Wish me good luck on that one! Hopefully I am going home this weekend to get few things from home and return a few others. See my family before things get a little too crazy. I’m about to go finish cleaning and pass out. But that is it. Weighing In On Weigh-In Frequency: What Pop Culture Says And What I Say. Over the years I’ve read my fair share of weight loss articles and exercise magazines. Contrary to popular belief MANY overweight people think about dieting and working out often, if not all the time. 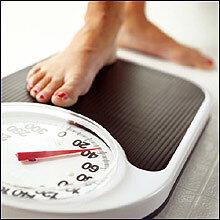 But one of the big topics is how frequent you should weigh yourself. I’ve read statements ranging from same time every day, once every other day, once a week to extremes like once a month. Most articles also often suggest weighing yourself at the same time every weigh-in, no matter what the frequency.The reasoning is by keeping a consistent weigh-in time it helps combat the fact that your body’s weight shifts throughout the day due to things such as stress, eating, sweating, and water weight .If you weigh yourself at 10am every morning the idea is that your weight -if your diet is pretty consistent- should be roughly the same giving you the same starting and stopping point. Allowing you to have a more realistic idea of your weight loss. One last big tip magazines suggest is if you have a “cheater day”(We all have them and you SHOULD enjoy them! There isn’t anything peanut butter-chocolate in this world that I don’t enjoy) The thought it to wait a few days to weigh-in. Let your body readjust from your cheater day and give you time to make up for it with exercise and a correction in diet later. My point is that what works for magazines or the “average person” might not be what works best for you. Note what all 3 of these ideas given earlier have in common; they are assuming if a massive weight loss doesn’t happen, or god forbid a gain the person in question will become negative and give up. It’s true that sometimes what the scale reads is disappointing. If you’re truly starting your weight loss/maintenance journey you NEED to change your attitude from I can’t do this, it is too hard, to GOODBYE .1lbs! Whoohoo! Its going to be a long hard road, but who said you can’t make the choice to be excited about getting healthy? When did the expectation become that we must hate working out and results should be instantaneous? Why can’t I be happy that I now can run 3 miles if I havent lost weight? Is any of this making sense? Ultimately it is up to what works best for you, try different things out. Your perspective is everything, and if only seeing .2lbs of loss is going to turn you off from achieving your goals, then by all means don’t weigh yourself often. But if seeing the small changes encourages you, weight yourself more! Remember, it’s not just all about the numbers. Happy weight loss everybody! The following is just my thoughts on when to weigh yourself. I am in no way shape or form a medical doctor, certified dietitian, or personal trainer. Not that weighing yourself really has to do with that. But just protecting myself.